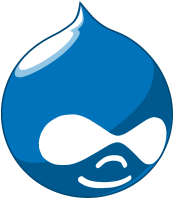 Drupal is one of the most popular content management tools out there. It’s known for its ability to simplify the way in which websites can be managed. Drupal offers a range of services that help with anything from revamping to updating. But, to get the most out of Drupal, you need to have the right Drupal hosting service. Finding one isn’t that hard because there are plenty of options out there. However, identifying the one that suits your needs the best can be challenging. There are several considerations to be made. You need the right features, such as cPanel, and the right platform etc. This is where GreenGeeks’ Drupal Hosting Service stands out. It’s a comprehensive package that offers everything that you would want in an efficient Drupal host. 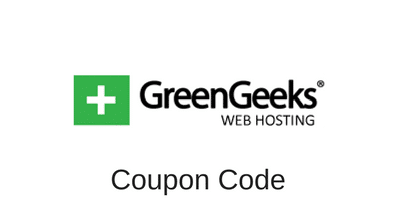 When it comes to web hosting features, GreenGeeks‘ drupal hosting package is attractive. You get unlimited RAID-10 SSD powered Superfast Web Space and no limits on the number of sites you can host on a single account. A permanent domain name for free. Website migration at no additional cost. A starter site at no extra cost. A free drag and drop site builder. Unlimited POP3/POP3 secure email support and IMAP/Secure IMAP email support. Unlimited gigabytes of bandwidth and transfer. Control panel for the account. There are also no limits on features like e-mail account, forwarding, parked domains, e-mail autoresponder, MySQL databases, and additional FTP accounts. GreenGeeks also offers specific features for Drupal. This includes real-time security scanning, single-click updates, single click installation, automatic brute force detection, built-in PHP caching to boost page load speeds, performance tweaks for the Drupal database, and the Drush command line tool. If you’re looking to branch out of Drupal, you also have a range of other software applications to choose from. This includes form-mail script, mailing lists, PHP Nuke, bulletin board, WordPress, Joomla, image galleries, Coppermine, guestbook, poll and survey software, Mambo, phpForm generator, Moodle, Perl 5, PHP 5, Python, multiple PHP versions, Flash, Shockwave, a customizable PHP environment, support ticket, help center. You can also get ecommerce software and features via GreenGeeks such as SSL certificates, OS commerce, Magento or PrestaShop shopping carts, password protected diaries, open PGP/GPG encryption, ZenCart, Cubecart, Agora etc. GreenGeeks’ Drupal hosting runs on the best technology, using the Linux operating system, dual quad-core fronted servers, SSD RAID-10 storage array, a multi-gigabit connection, and an optimized web & database server. Additionally, you also have 24×7 monitoring that is carried out every 10 seconds and nightly backups at no cost. To know more about the GreenGeeks Drupal Hosting Service, visit GreenGeeks Drupal page. This entry was posted in Articles on October 27, 2017 by Jared C. Brown.